In this newsletter, we give you clever cabling ideas for your TV. Plus we give you 3 essential things that should be done now that daylight savings is here. For all your home and office wiring needs contact Ku-ring-gai Electrical Service on 0418 442 578 or email info@kuring.com.au. Large screen TVs totally change your viewing experience. The trouble is they take up a lot of space, especially if you include the area used by bulky entertainment units to store your PVR and other digital equipment. Mounting your TV is one option to save space but there’s still the challenge of hiding unsightly cables. We can help you overcome this problem by hiding the cables inside your wall. 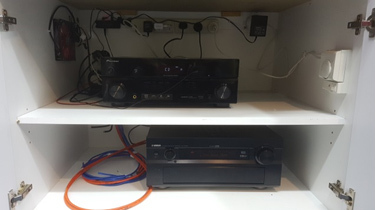 If you choose, we can even cable your system so the equipment can be stored in the next room. This will immediately increase your living space, improving the appearance and functionality of your room. A mounted TV works well in your living room, kitchen or home gym. You could even transform a spare room into a home theatre without compromising on space or design. In all cases, the mounted TV can blend seamlessly into each room’s décor, only becoming a focus when you choose to turn it on. The flexibility of the brackets available for mounting TVs means it can be mounted on the wall, in a corner or on the ceiling. You can then angle the screen to better suit your viewing needs in each room. As a parent, it’s important for me to provide the safest home possible for my family. Having the TV mounted eliminates the risk that a small child might pull or climb on your entertainment unit and accidentally topple the TV. Storing the entertainment equipment in another, more secure area of your home also removes the temptation for small hands to press buttons, insert objects or pull on cables. 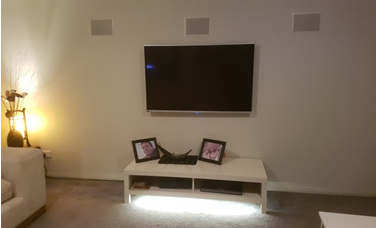 When you use an electrician that you trust, you will also gain extra peace of mind knowing your TV has been securely mounted and safely connected. Would you like to explore streamlined entertainment options for your home? Contact us on 0418 442 578 or info@kuring.com.au. If you changed your ceiling fans to winter mode, it’s time to change them back. Can’t remember if you changed them? Don’t worry. It’s easy to work out. Turn on your ceiling fan and stand near it. If you can’t feel a slight breeze, you have it on winter mode. Turn the fan off then move the little black switch on the base of the fan. Reset your external and/or safety lighting for daylight savings time otherwise you will be lighting areas when you don’t need to. Remember, we can install photoelectric sensors that will automatically turn on your lights when it gets dark. That way you never have to adjust your light timers for daylight savings. Check your safety switch. It’s located in your power box (also known as a fuse box) and is designed to trip (or turn off your power) if you plug in a faulty appliance. Your safety switch should be clearly labelled. There will be a button next to it. When you push this button, the safety switch should flick off. If it doesn’t, call us as a priority. If you have an older home and don’t appear to have a safety switch, call us urgently. Importantly: Try to avoid checking your safety switch when members of the family are online. When the power goes off, they could lose everything they have been working on. We are here to help you with all your wiring needs. To get in touch call Ku-ring-gai Electrical Service on 0418 442 578 or email info@kuring.com.au.